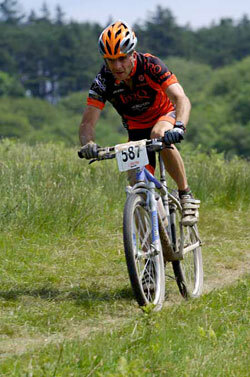 Margam Park, South Wales, provided the venue for the 2nd round of the XC NPS. 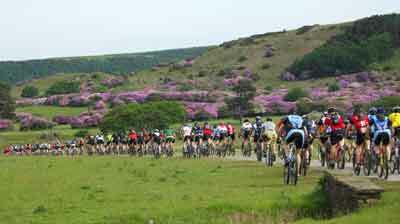 Providing a beautiful setting of steep climbs, fast descents and technical singletrack that is regarded as the toughest XC course in the country by many of the riders. The race was also blessed by some long over due sunshine, which only helped intensify the hot racing.n14 Torq sponsored riders were amongst the best ready to once more fly the Torq flag. As per usual first off to tackle the delight of this tough and demanding 5.8 mile circuit were the younger riders, including Torq/Kona junior rider Jay Spetch. After his disappointing ride at Sherwood, Jay was hoping for a better result, especially as he relishes in the tough climbs that Margam throws up. Unfortunately it was clear early on, that the young Spetch had been shirking on his training as he struggled to keep on terms with the race unfolding in front of him. Eventual winner Ross Creber had a terrible start giving him extra work to pick off the riders in front before taking control of the race from the front. By the end of lap 1 all he had for company was Louis Charity. By the end of the 3 lap, Creber had the race sown up crossing the line a clear minute ahead of Charity, with McEvoy narrowly squeezing Hurrell into 4th spot as he secured 3rd. 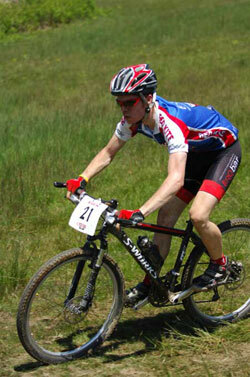 Fletcher rode a strong race putting his mechanical problems behind him to finish 5th. Jay finished just outside the top 10, again disappointed with his results but was realistic about his ride, he commented ” I thought the course was really good, lots of climbing and fantastic descents. It was a shame about my result but no excuses; it came down to not training enough! I am off now for some intense training and should show some positive results when I get back.”Hopefully we’ll see Jay back on winning form at the next round of the NPS. . Meanwhile it was the Elite’s, Experts & Sport riders that lined up next under the hot cloudless skies to commence battle. 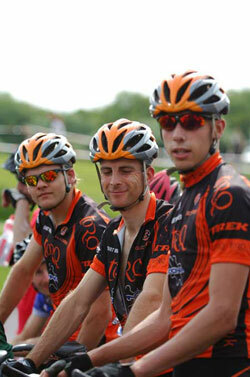 Representing Torq in the elites, were Ross Adams – Red Kite/Torq, his brother Euan, Marcos Scheir & Simon Burgess. Nick Collins & Scott O’Neill were unfortunately way laid by a cold and so not able to strengthen the Torq attack. Oli Beckingsale once more was the lead man in this race, heading a strong line up in the Elite field. Beckingsale quickly showed the bunch a fast clean pair of heels, with only Nick Craig responding to his attack and keeping his former team mate company. Behind was a frantic chasing group of Ian Wilkinson, Zak Toogood, Adrian Lansley & Phil Dixon, just 13secs down on the leaders. Beckingsale went clear on the second; leaving Craig in no-man’s land where eventually the chasing group picked him up. Beckingsale continued to ride his own race, stretching his lead fractionally each lap. At the start of the last lap Dixon decided he felt good and attacked on the first climb, shelling Wilkinson & Toogood off the back. It took another attack by the aggressive Dixon on the second climb to finally get a gap between himself and Craig. Feeling confident the SIS/Trek rider, whom usually rides road, was pacing himself to a good ride, decided to ease it off a bit not realising that Beckingsale’s lead had started to deteriate. Beckingsale took the win, with a bemused Dixon just 50 secs adrift in 2nd wondering, if only he’d kept the pace up on that last effort, while Craig managed to secure 3rd. 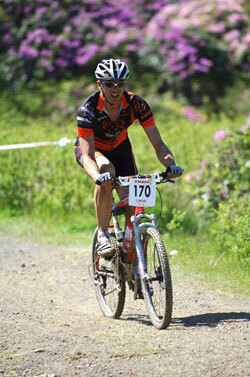 Ross Adams, was the highest ranking Torq rider, coming home in 19th. With Simon Burgess, relishing the hot conditions taking 22nd. Marcos Scheir came close behind in 30th with Euan Adams, probably with thoughts of the student RR champs the next day down in 35th. 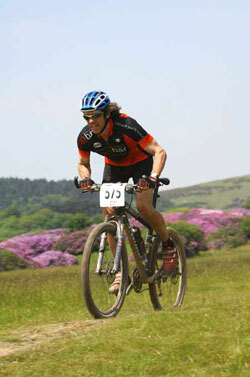 Simon Turner – Freeborn/Ellsworth/Torq, was a new face in the Expert field, lining up with fellow Torq riders, Mark Russell, Anthony Rowland, Eric Pettett, Steve Shaw & fellow Ellsworth/Freeborn team mate, Jeremy Olson. Turner, normally rides in the master category, however he has, cunningly decided to ride Expert as it comes earlier in the day, thus giving him more time to recover for the marathon the next day. Would his tactics pay off? Despite his nervousness and lack of gridding, Turner had a good start, having ridden at Margam in previous years he knew what lay ahead. A steady start in the hot conditions saw him tucked in the top 5, for most of the race. On the 2nd lap near disaster happened as Turner started to suffer stomach cramps, causing him a few concerns & dropping him out of the top 5. Undeterred he battled through his ‘Paula’ moments and set about reeling back his rivals, which he did, to finish in a splendid 3rd spot. 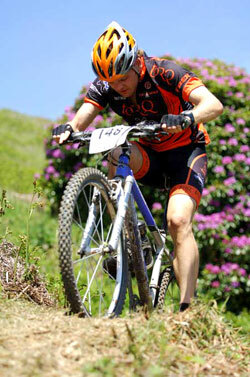 Mark Russell Torq/Kona took 5th, whilst Steve Shaw took 13th spot. A position he very nearly missed out on, due to an unfortunate traffic jam, Steve very nearly didn’t make it to the race. In the end he stuck it out and got a good start on the grid, riding the race with fellow team mate Anthony Rowland. Rowland took 14th spot, disappointed, with his result as the previous day in his practise run he felt strong, but on the race day, it wasn’t to be, he just didn’t have the legs. 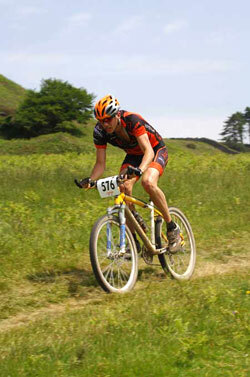 The only thing that kept him going was the thought of the descent at the end of each lap. Eric Pettett was reasonably happy with his race; having just returned to training after a severe cold, he knew his top end just wasn’t there. However his strategy of keeping contact with his 2 team mates, Steve & Anthony kept his race alive, with him eventually coming home in 15th spot, with Jeremy Olson taking 18th. 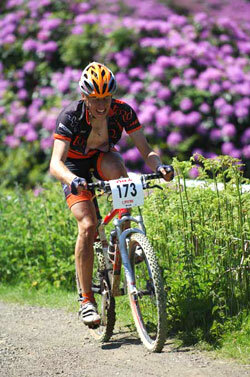 Paul Robertson – Sportstest.co.uk took the men’s Sport category, bettering his first round by 9 positions, with Torq/Stiff/Leeds Uni boys Alex Pettett & Andy Taylor finishing 22nd & 32nd respectively. Lydia Gould provided the best podium finish for the Torq/Kona team with an impressive win in the ladies Vet’s class, making this her second win of the series. Once more she began the race keeping Raleigh master’s women rider, Michelle Bergstrand company, but by the end of the first lap Bergstrand had pulled out leaving Lydia out on her own, undeterred the plucky rider just kept the pressure on to win with a clear 10 min advantage over her nearest rival. 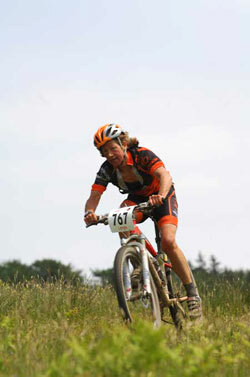 It was another round of fantastic racing with each category swelling with more and more Torq sponsored entrants. 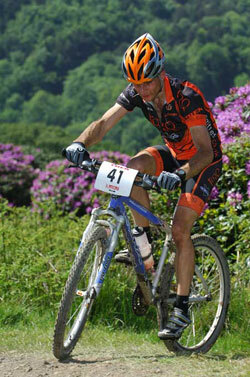 Margam proved once more to be the course that sorts the men from the boys, with the climbers coming to the front and taking advantage of the demanding course. The beauty of the XC NPS is that each event offers its own challenges, pushing each rider to the boundaries of their talents and in some cases beyond, to eventually determine the best all rounder and winner of that series. If it were easy then the racing wouldn’t be as exciting or as unpredictable, which in some events it can be. It was good today, but I was very nervous before hand as it was quite warm, but it’s a change from the rain. Margam is a proper mountain bike course, fantastic climbs, and fun descents and I like the river crossing as I got wet and cooled down. I thoroughly enjoyed it, but pretty knackered now. I rode one lap with Michelle and she was really pulling me along and I was alright but then she didn’t feel to go and pulled out leaving me on my own which was a bit hard to start another lap, but I pushed it on and won. I surprised myself today I didn’t think I’d do very well but in the end I did so very pleased. The Elite men’s XC race started at 12:30 in the blazing sunshine. It was hot and to be honest I was unaccustomed to the heat, but very quickly found it to my liking. So off we went the pace was not as frantic as at Sherwood Pines, I think some of the riders were feeling a bit tired from Fort Bill perhaps. The course itself was technical and tricky in places, some off camber stuff and rough downhill sections that ordinarily would have been fine, but when chasing a pack and also being chased, together with the dust cloud and pressure, it was nerve jangling! Through water splash and the up hill started and we just went up and up, then down a fast and tricky downhill section to the arena. I decided to pace myself and hung back a bit, I was recovering from a thumb injury from a crash in the CLIC24 which meant I was not my usual self through the technical sections, but the strategy came good in the end as I got better in the technical and picked off some riders in the last lap to finish in 22nd place, not bad at all, and not far off the leading bunch. I love it when it’s Hot! So I was happy, as you like as it warmer on Sat morning, it never made it to Hot, but warm will do. For some reason most people seem to suffer.. me, love it. It was my first Expert race ever so I was a bit nervous at the start, plus I wasn’t gridded so there was a little extra pressure to get a good one. I roughly knew the course having done the Marathon Champs last year, so I was aware of the road blast and then tightish climb in the first section. If I could get a good one I could stay with the lead group. Turns out the start was pretty relaxed and after a short sprint I tucked in top 5. The first lap went in a blur of overtaking and being overtaken. 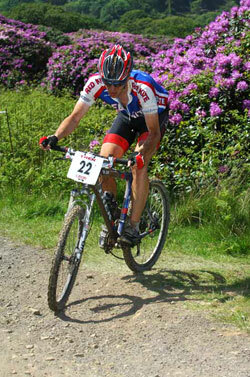 On the long climb the midget winner shot passed me like I was going backward, built for climbing that lad! Happily I was doing more overtaking than the other way around and I had a great first lap and came through in 5th I think. Except for the descents virtually the whole lap was spent in Zone 6 so I knew payback was coming on the second lap. But payback also included massive stomach cramps, urgh, thought I was going to have to do a Paula at one point! I worked through my grumpy patch and having only lost a few spots, most still in my sight though. The lap was a little slow on reflection, mental note: work harder through grumpiness. Working steadily I reeled the remaining two in front in (where had the other gone!?) over the next two laps, but lost the plot on my placing. So I was mighty chuffed when having dropped the last chap on the final climb and the big descent I was welcomed through the finish line with the news that I was third! It took me over 6hrs to get down to Margam because of the traffic, I thought about not even turning up I was sat still for an hour 20mls from my house. I managed to get seeded on the start line, which was good because it was mayhem at the start with a long fire road and a tight gravel turn at the end. I decided to try and stick with my team mate Ant; he’s one of the top expert riders and holds a good pace. The course really suited my style of riding – I like long climbs where there’s no drafting to hide in, it didn’t actually feel like a race, just a case of sitting in a zone. I still felt good on lap 3 so kept my pace going, I was losing a tiny bit of time on the downhills as I’m not as quick as others – I still hold back a bit after a few bad injuries. On lap 4 I tried to stick with Rob Lee but for some reason cramp started setting in even though I was drinking a bottle per lap, I wanted to push but could feel my legs twinging and instead just sat it out as fast as my legs would cope. Saturday night was fairly quiet, but we got to see www.rjrideguide.com – some of the things those guys do make the stomach turn, others just seem to defy the laws of physics – I was in awe. Having recently recovered from a severe cold that knocked me out of action for a week I wasn’t sure what fitness and speed were like. I knew endurance could be relied upon having just completed the gruelling Italian Nove Colli in May. 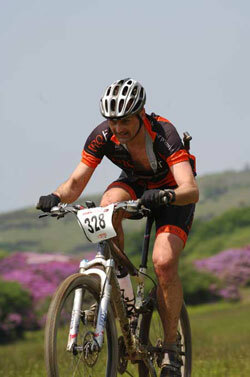 Margam was again a scorcher of a race with a testing course. The hills suit me better than a course like Sherwood Round 1. 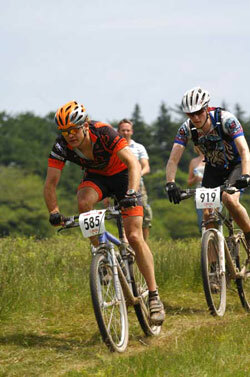 In Saturday morning’s practice I felt comfortable as I recalled the race lines from the 2005’s National Marathon Championships. For much of the race I was chasing Steve and Anthony – keeping in contact with them was a priority. This proved a good strategy as it meant I had greater drive than those riding around me. My race highlight was the last climb before the downhill. I’d witnessed Ant’s descending on previous laps and I knew to beat him I needed to overtake and distance myself on the ascent. I executed the move but the gap wasn’t enough and Ant passed me on the flat going into the last few corners. 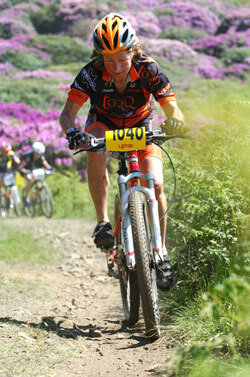 I was comforted by the fact he’s a Torq rider, but I’m sure I’ve got more under the bonnet – bring on Drumlanrig! After rd 1 and a good finish I was hoping for a podium finish, felling good on the practice the day before and loving the course, especially the last decent to the arena. Saturday rolled around and it was seriously warm, nice midday start and I was off the pace from the gun, no excuses, no problems, I just did not have the legs or spark. The last decent kept me riding every lap, but it was pure damage limitation, especially laps 3-4 where I was completely blown and losing big time. Not a happy bunny, but that’s racing hey! 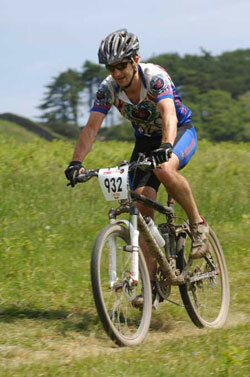 Trek Marathon Series – R1 Margam. The course was a great mixture of climbing, descending, climbing some more, wicked bomb holes, descents with devious off camber sections, and plenty of bracken to soften the fall, a bit of fire road and for good measure a bit more climbing…. A true mountain biker’s course, the whoops of joy and delight were incredibly strong as they all set off but got weaker and weaker as the race continued. 144 men & women lined up to do the full 4 laps of the 25km course, including National Marathon Champion Nick Craig, along with international rider, all time nice guy and innovator of lots of nice bike bits, Keith Bontrager, plus 4 Torq riders; Ross Adams, Simon Turner, Jeremy Olson & James Darcy. Hundreds more opted, wisely for the shorter distances. The results in the 50km were nearly a whole lot different. 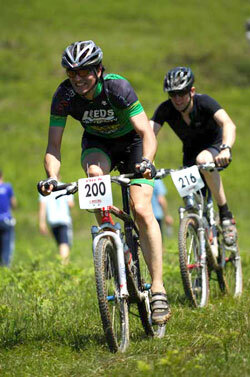 Eventual winners Ian Wilkinson & Phil Dixon did not having the best of starts to the day. A few beers of celebration from the excellent 2nd spot for Dixon the day before, meant a slight late rise that coupled with a closed motorway looked like their day was finished before it had even begun. However they managed to get to the car park by 5 past 10, changed into their kit grabbed their bikes and they were off, the last men out of the arena sheepish grins spread over their faces as they chased the race. And chased they did, doing 2 really fast laps and catching the leaders of the 100km just at the end of the 2nd lap, to come home as the 50km winners. I guess more celebrations were in order that night! Torq/Kona rider Simon Burgess had an enjoyable race, relishing in the harsh conditions to take a well deserved 3rd, with youngster Jay Spetch having a much better ride taking 7th spot just ahead of Steve Shaw (9th) who decided on a gentler pace for the marathon after the hard race the day before. Jay’s dad Jeff, seemed to be grinning around most of the course and finished in 55th just ahead of Martin Evans, who had the misfortune of suffering a puncture and a rubbish pump, only the intervention of team mate Jeff got him going again and he came in a slightly disappointed 57th. Lydia Gould romped once more round the Margam course, obviously feeling no ill effects after her win the day before, taking time to enjoy herself, riding well within her comfort zone, to take her 2nd win of the weekend, a good 14mins ahead of nearest rival Renell Brennan. 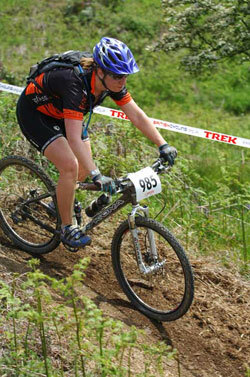 Whilst Amanda Darcy took a creditable 9th. Meanwhile in the 100km, the top boys were taking it easy with a nice little group riding at the front, consisting of Nick Craig, Robin Seymour, Rab Wardell, Dave Collins, Naill Davis, Richard Mardle & Stuart Bowers. The theme of the day was rehydrate or suffer the consequences in the relentless heat. Mardle called it a day after 2 laps; Bowers threw in the towel after 3, as did Rab Wardell, after setting the pace for team mate Seymour, which enabled him and Craig to get a gap on the remaining riders. Collins punctured on the 2nd lap and chased furiously to get back on terms with the group and just about did it when Seymour launched his attack, which Craig responded to, but Collins just didn’t have the strength left to cross over and called it a day too. This left Craig & Seymour in front keeping each other company over the dry dusty steep trails. By lap 4, after a quick stop for lube, Seymour started to feel the pressure and dropped off the pace leaving Craig on his own for the final lap. He regained his composure but by time he’d sorted himself out, Craig had maintained his gap to take the win with Seymour finishing strongly, coming home just a minute and 40 secs adrift. Fellow countryman Davis took 3rd. Ross Adams, was the first Torq rider home in 7th, with Simon Turner, keen to finish at least in the top 20 in such a class field, stormed home in a healthy 9th spot. 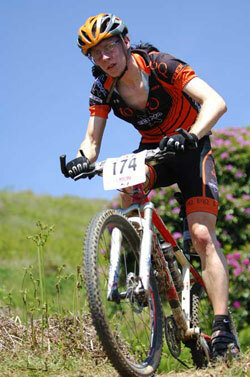 Team mate Jeremy Olson took 22nd and James Darcy 36th. International jet setter Keith Bontrager, suffering the effects from jet lag, lack of sleep and treacly sections finished a good 2 hours down on the winners, with a tired but happy smile on his face. “This is just a stepping stone for my next race, which is a 2 day stage race in Portugal next weekend”, the seasoned warrior remarked, “ by which time I shouldn’t be so tired…. I wanted an easy ride today after yesterday. Yesterday in was fast and hard and very hot so I just rode in my comfort zone today and really enjoyed it looked at the scenery a bit but yeah really enjoyed it. I found the last climb in the 2nd lap very hard so I was glad to cross the line but it was great. Yesterday took it out of me quite a lot, I was fatigued and the sun had got to me a bit which is unusual, I was slightly dehydrated as well. I just decided to go round at my own gentle pace but on lap 2 I caught up with Jeremy Olsen from Ellsworth so I rode around with him. I couldn’t believe the amount of people who were there, it was incredible. 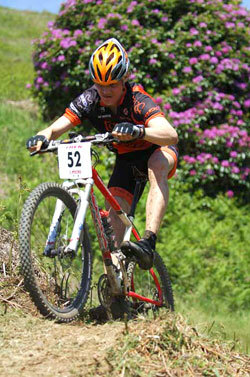 The course was fantastic as well, probably one of the best enduro courses I have done along with Selkirk Merida. I came in 9th, which made me wonder if I had put my foot down.. I need to get someone to do the driving/supporting for me I think, driving home was the hardest! I don’t know what was in the water at the river crossings, but everything now smells like wet dog…. The day started with prayers for a cooler temperature to that of the previous race day however the spectators desires for another scorcher appeared to have been answered first. Predicting a chaotic start and remembering the bottlenecks of last year I arrived to line up early to get a decent getaway. The first lap was much harder than it should have been and I couldn’t understand why I was struggling, fatigue, heat, just rubbish today. All the usual went through my mind but fortunately after about 15km I woke up and legs/lungs/mind were all in tune. 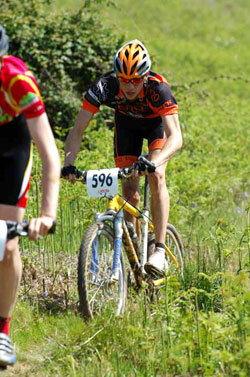 I stepped up the pace on lap 2 and was making up some of the lost ground when just after the feed station I punctured. Firstly I tried the sealant but no joy so swapped the tube only to find it wouldn’t inflate so changed that for 2nd spare only to find that wouldn’t inflate either! Thankfully Spetch Snr arrived to assist and after changing yet another tube we realised my pump was useless so a blast of air from my team mate and I was finally on my way. A very disappointing finish but lessons learnt and looking forward to round 2. Thanks Jeff. Saturday was a hard day, the climbs were brutal and I was worried that the force work done was going to leave me liable to cramping on Sunday. Still thought I would give it a go for the first 30mins and see. 3rd at the Sherwood National 6hr race in May was great but this race has all the fast lads in it and there was no chance of a podium in that company. Still I wanted to be in the top 20. Climbing is great as far as I’m concerned and so compared to Sherwood this was more my thing. The first half of the lap is pretty incessant climbing. Out of the 2450m of accent over the 100km I recon 2/3 of that is done in the first half of the lap. So when I made it over the top of the hill still in the top 20 I knew the legs were ok, tired but ok. Next lap I caught back up with Mark Allen (Cadbury/Torq Bar) and we were joined by Gavin Rumbles who beat me into third at Sherwood. For that lap we worked together and pushed on nicely just 5mins slower than the 1st lap. But people in front were dropping out leaving us in 13-15th. Gavin made a break for it at the start of the 3rd, I was feeling it and thought it best to let him go and try and work with Mark to get him back on the long fire road climb 2/3 of the way round. But Mark popped on the first climb and despite my encouragement (or was it abuse Mark!) I left him. On the pervious laps I seemed to be climbing faster than Gavin on the steep loose stuff, probably due to the excellent traction offered by my Ellsworth Truth. So I hauled him back and caught him on the next fire road. I was also dropping Gavin on the first technical downhill, again the Truth was awesome here, I had a massive smile at the end of that section every time I pop out the bottom. I couldn’t see Gavin after that drop on the third lap. I was knackered though and started the last lap pretty low on energy, a quick chain lube and a load up with bottles and a gel and I was off. The hills hurt like hell this time, but it’s not so bad when you can say ‘that’s the last time I have to do that bit’ each time you finished a section. Out of nowhere Gavin appeared behind me on the last climb. 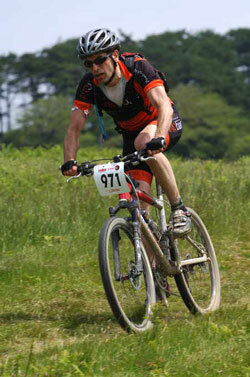 With only a few hundred meters to the top I dropped a few gears and cranked out of the saddle dropping him again. Nailing the last descent I came over the line to be 9th place. OK I was 38min behind Craigy but a top ten finisher nonetheless. Happy and tired Joolze made me smile for the camera. The course was the same as last years except for the downhill part that had some fiendish bomb holes and ‘whoops’, followed by off camber corners, this all conspired to spit the unwary rider off the side of the track into the bracken and unrideably steep slopes. As for the rest of the course – after the start it went up in a straightforward way, until a rock garden climb followed by a lengthy rutted section, then onto some fire road climbs and fire road downhill sections complete with sketchy corners. Basically this course was the mutts nuts, probably the best course I have ever raced on. 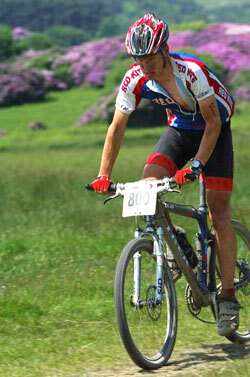 It had everything that a real mountain biker could wish for, within reason of course. Anyway my race was going well, I was feeling strong in spite of the heat and I managed to keep a cool head for the duration. The Torq ribose taken after yesterdays XC race definitely takes an edge of the dead legs feeling, and I was gulping down the Torq energy drink as well. 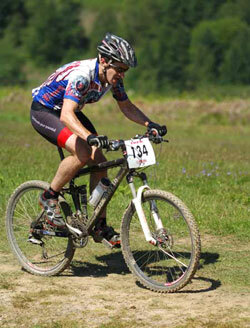 In enduro races like this it is tricky to know who is doing which distance, so I decided to ride my own race at a sustainable speed – which resulted in 3rd place and some nice prizes for the mantelpiece. Well done to everybody who completed the race, I hope to see you there next year!